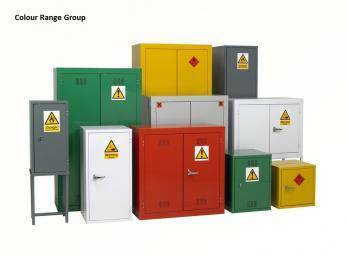 A highly flexible range of Chemical Storage Cabinets for hazardous materials that meet the requirements of the Highly Flammable and Liquified Petroleum Gases Regulations 1972 (section 5 Part D), The Health and Safety Executive Guide HSE(G)51 1990 and the Factory Inspectorate. Lockable lever handles with 2 rods locking top and bottom and 2 keys supplied as standard. 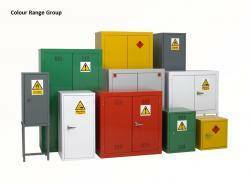 All the cabinets are powder coated with appropriate warning stickers provided.